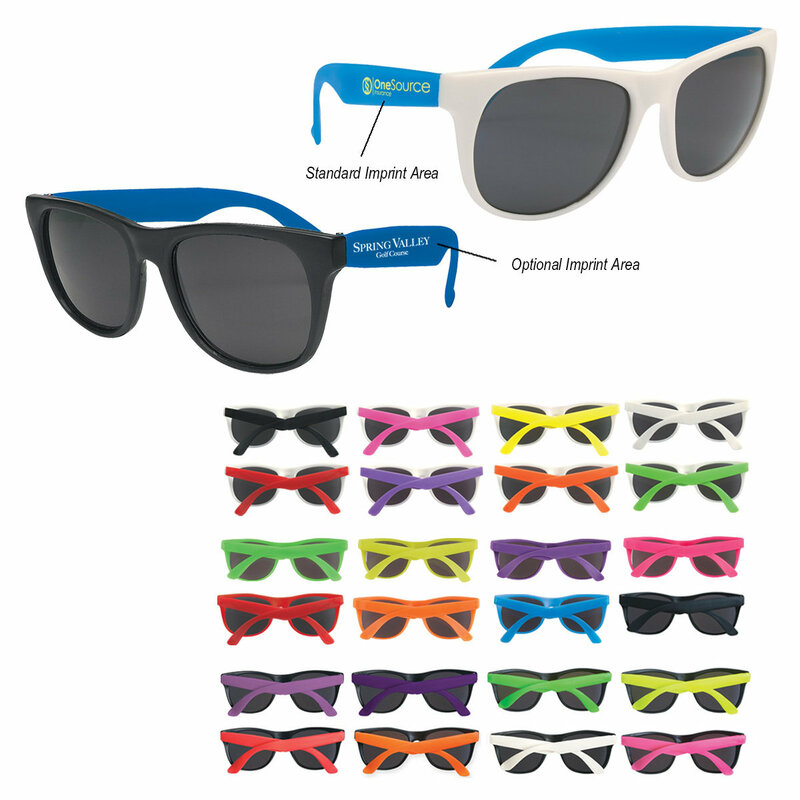 Black Frame: with Red, White, Purple, Blue, Pink, Lavender, Orange, Green or Yellow Temples. White Frame: with Red, Blue, Green, Pink, Black, Purple, Orange or Yellow Temples. Solid Frame: Green, Orange, Pink, Purple, Yellow, Black, Red, Blue or White. Add $60.00(G) set up charge plus $2.50 per piece. Price includes 4 color process on box and insertion of product into box. 50 3 lbs. 17" 12" 5"
100 7 lbs. 13" 13" 11"
150 10 lbs. 16" 15" 12"
200 14 lbs. 19" 15" 12"
300 21 lbs. 25" 17" 13"